When we picked up a call from this Ferrari’s owner, his enthusiasm could be heard across our office. That’s how happy he was when driving his car with the newly fitted Novitec exhaust system in his 458. Believe it or not, this is a reaction we already got used to. We helped a large group of owners to enjoy their supercar even more with similar upgrades. However, most importantly, we put them in control, so the engine roar can be easily adjusted with a touch of a button. The majority of purists will probably say that all Maranello machines are works of art and that they all sound amazing. We definitely agree on the “works of art” part of this statement, but experience and previous projects showed us that the second part can be further fine-tuned to provide even more thrilling experience for the Ferrari owners. 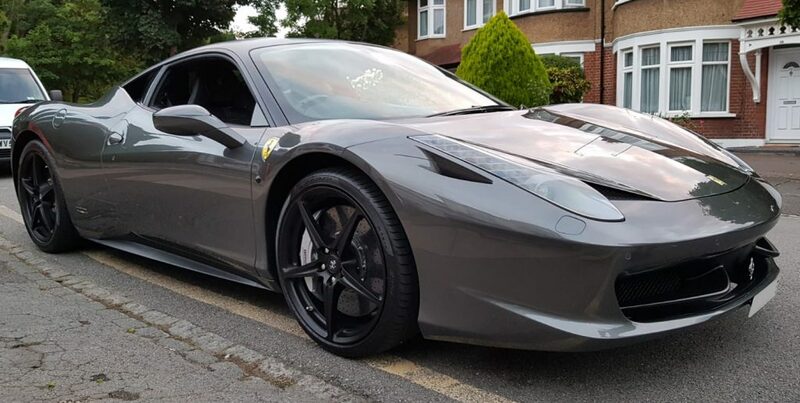 We have heard a great deal of criticism from fans and owners alike, offline and online, that the stock exhaust of the 458 is actually a little sedate for a machine with such sporty aspirations. This is most apparent on low rpm when the car is almost silent. The truth is, that although the car does get louder at high revs, the sound is still pretty full and flat – especially compared to Ferraris of yesteryear like the 355 which sounded like an old F1-car! Some owners replace the rear silencer only, which, when selected properly can give you a “nicer sound” but unfortunately will not, by itself, release enough volume. 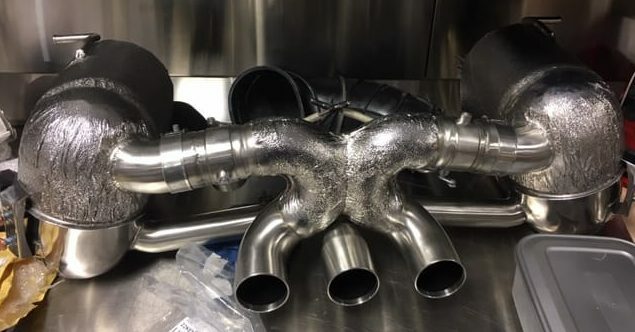 This is simply because the stock exhaust bypasses any silencing when the valves open so it’s already noisy (if pretty dull-sounding) and more to the point, it’s the original catalysts that are a serious source of the restriction. They are 800 cell and still “choke” the engine with back pressure, simultaneously making the sound much softer. There is a bit of discussion in the digital world as to what brand of the exhaust system is the “best” for the 458. We have played with EVERYTHING, and the owner listened to every video clip possible! In the end, it was the Novitec that won out. The owner felt that for the 458 and 458 Speciale, it gives the biggest increase in sound volume over stock, the most substantial difference between “open” and “closed” settings, and most of all, produces the highest pitched F1 sound amongst all the brands. We replaced the cat pipes with straight Capristo ones, which work wonders when coupled up with the Novitec exhaust, giving the car a new F1-like sound. They drop the back pressure allowing releasing more volume and also add a touch more power. 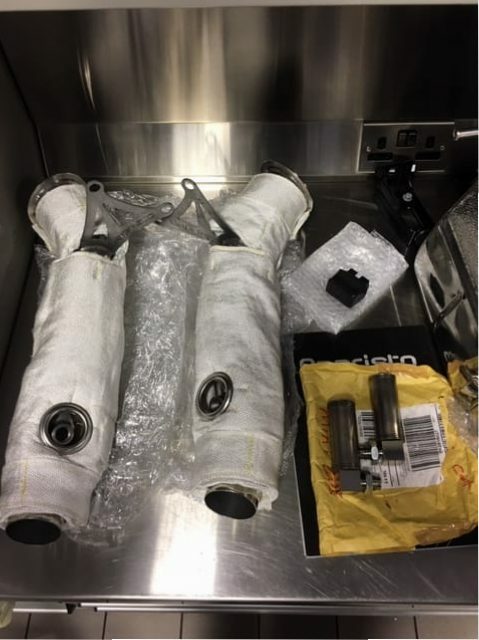 To complete the exhaust set up we added especially developed, Capristo plug-in module, which allows the fitment of cat-replacement and prevents any emissions error codes from showing up. The beauty of this part is that it has been designed to address only specific exhaust/catalysts related error-codes (such as 420, 430, 3270 etc) on the car’s on-board diagnostics without concealing any other engine errors. We also addressed the secondary objective of controlling the engine sound. 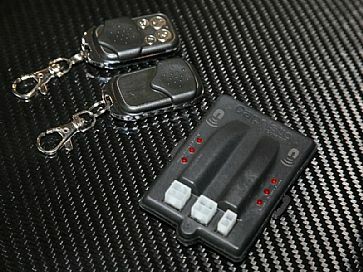 A simple remote control which attaches to the car key ring, allows opening the valves up in the Novitec system at any point and at any rev range. It also, of course, allows closing the valves and muting the engine sound. It works completely independently and will change the setting despite the driving mode selected on the steering wheel. P.S. This Ferrari owner is indeed very happy with the equipment recommendation and fitting, and we did appreciate we were the first people he called after the first drive in his transformed 458. His happy screams on the phone were the best signs of his approval. But we thought you will probably like to hear the difference for yourself…. PrevBentley hints new Flying Spur – watch the first teaser video! NextCeramic vs Organic vs Metallic brake pads – What’s the difference?